Leaf three has emerged over 70% so this week is the ideal time to apply T1 on the site in Rougham. The previous week’s high temperatures have resulted in a rapid growth spurt. This week the winter wheat in at the Syngenta Innovation Centre in Rougham has reached GS31/32 and is ready for T1 application. How can you be sure you’re ready for T1? It is common to count the nodes on the stem of the main tiller to assess the growth stage of the crop, but we would recommend cutting and unravelling the stem with a sharp knife to be sure. 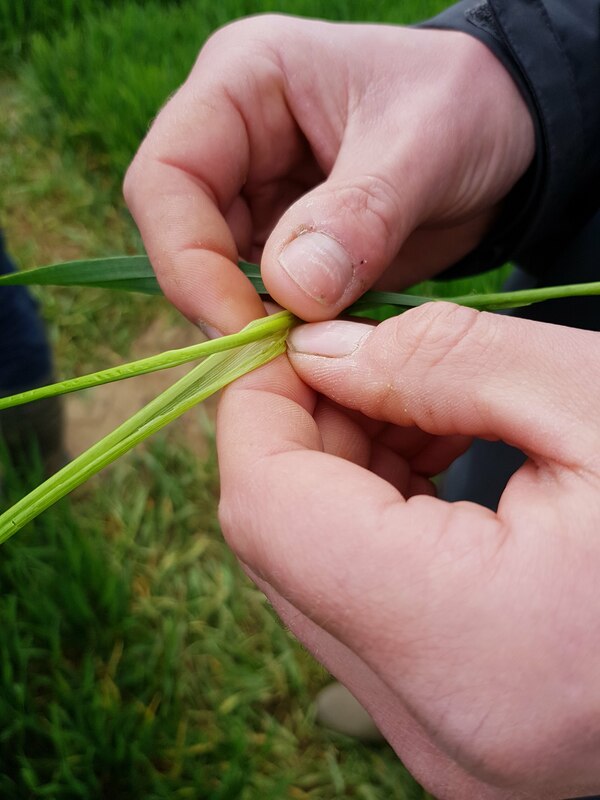 This gives you the full picture of how the crop is developing – you don’t want to miss anything or get your timing wrong at this crucial stage. 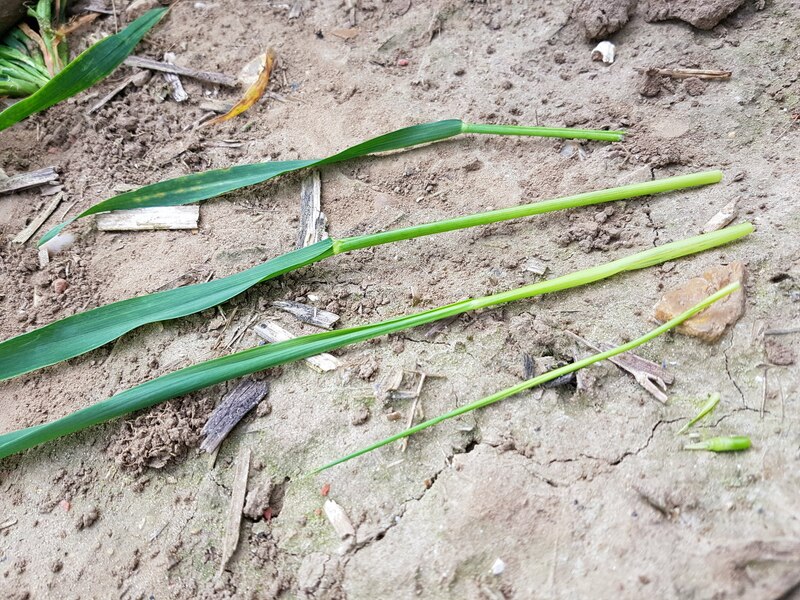 For example, you could feel two nodes which suggest your crop is at GS32 however when you cut in and unravel the stem, you may find leaf emergence has advanced beyond that stage – and mistime your fungicide application. 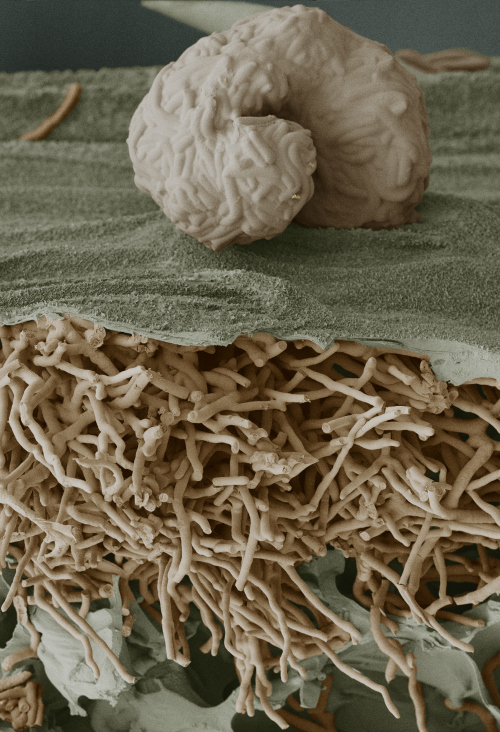 In the image above (taken on Monday), you can see the ear, leaf one, leaf two, leaf three and leaf four. Leaf three has emerged over 70% so this week is the ideal time to apply T1 on the site in Rougham. “To assess your crops accurately – remember to take several samples, at least one per quarter of the field. Cut into and unravel each stem to get the full picture. Then you can calculate the average leaf visible to ensure you apply fungicides to the correct leaf. In this instance Leaf 3 for your T1 application”.